Details: The third example of a Volkswagen Crafter van to be illustrated on this site is Epsom Buses A6HRR, seen at the garage on 24th August 2009. New in December 2008 as LC58GFU, it was re-registered by the following June, using one of several 'select' marks held by the firm (the HRR refers to the initials of the proprietor). 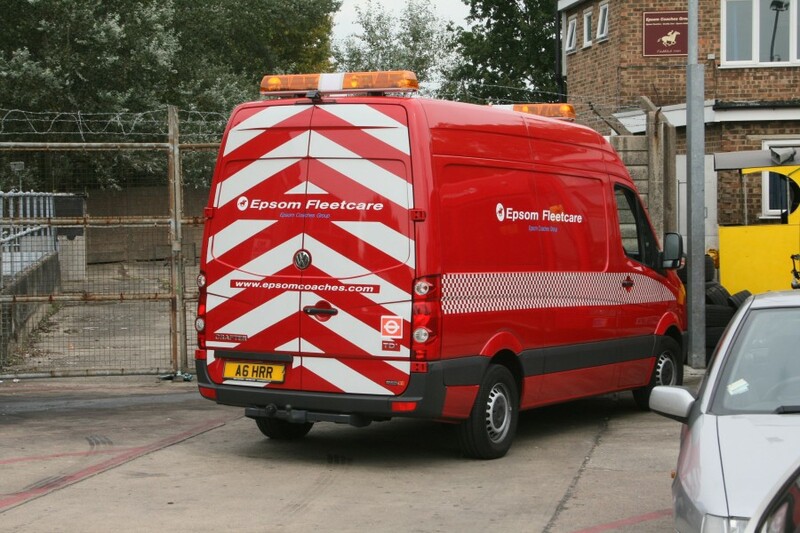 Note that, although the vehicle is red and has an LT roundel on the rear, the fleetnames are for Epsom Coaches. The Epsom Buses name has been all but dropped in favour of Quality Line. The rear chevrons are rather unusual. I would like to know what the yellow thing in the background on the right is. It looks somewhat like the cab of a 'landtrain' locomotive.